Standing on the rock outcrop known locally as Hanging Rock and looking south, the view is nothing short of spectacular. The Hanging Rock Valley, five hundred feet below, is a small cove bounded on the east by Potts Mountain and on the west by Middle Mountain. Directly to the west of Hanging Rock is the narrow defile formed by Valley Branch as it cuts through Middle Mountain. Toward the north is the heart of the Shawvers Run Wilderness. When Shawvers Run Wilderness was established by an act of Congress in 1988, it was one of the smallest designated wilderness areas in Virginia at approximately 3500 acres. 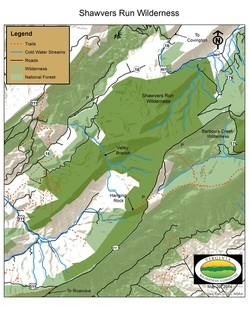 Three significant additions, added with the passage of the Ridge and Valley Act in 2009, increased the size of Shawvers Run to 5780 acres. Nestled in the northwest corner of Craig County, Shawvers Run is truly a remote and wild landscape. 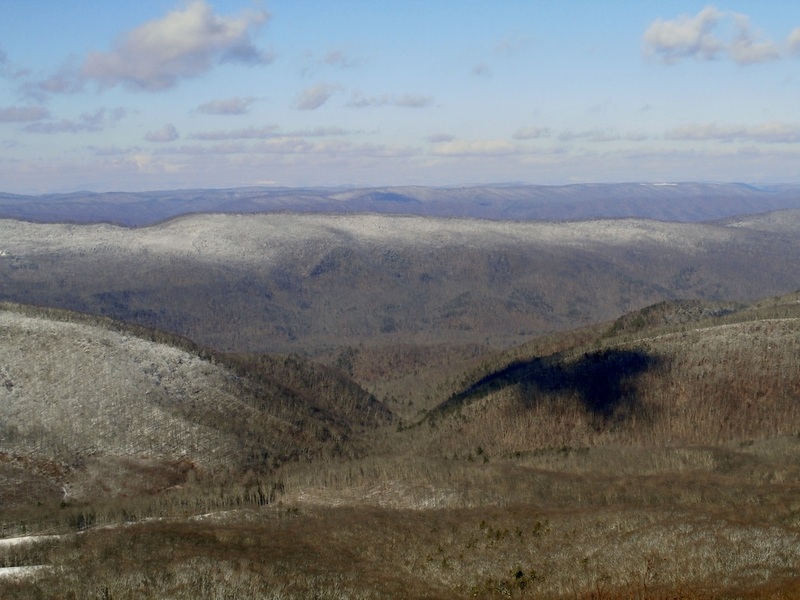 With an elevation ranging from 3600 feet on the summit of Potts Mountain to 1800 feet near Potts Creek, the wilderness offers a wide variety of forest ecosystems. Valley Branch descends rapidly from a small divide between Potts Mountain and an outlying ridge into a beautifully wooded bottom composed of tall White Pine and cove hardwoods. Those persistent enough to reach this secluded valley are rewarded with a musical treat as this lovely stream rushes to leave the mountains. On the north side of the divide is the Shawvers Run. Unlike Valley Branch, Shawvers Run descends placidly to its confluence with Potts Creek, which eventually drains into the Jackson River near Covington, Virginia. The Shawvers Run Wilderness is located on the western slope of Potts Mountain. This long ridge serves as the backbone of Craig County. 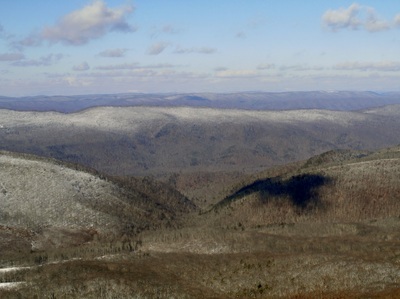 One of the unique features of Shawvers Run is the outlier just to the west of Potts Mountain. A small saddle connects Potts Mountain to this un-named summit and lies in the heart of the Shawvers Run Wilderness. The saddle is covered by small trees and vine thickets and serves as a transition from the more moist conditions on the west slope of Potts Mountain supporting a forest of oak, hickory, maple and cherry to the drier site on the outlier. Here chestnut oak and yellow pine thrive in the upper canopy. Access into the heart of Shawvers Run is limited. To reach Hanging Rock there is a short trail (0.4 miles) from the parking lot on 177-1 about 3.5 miles from the intersection with US 311. The Hanging Rock Trail is the only designated trail into the wilderness. Further out on 177-1 (5.5 miles), there is a small pull-off on the right, where an old road on the left descends to the Valley Branch area. This road can also be used to access the saddle and outlier. Additionally, near the Steel Bridge campground on State Route 18, there is an old road that crosses Valley Branch and passes through the low lying area to the west of Middle Mountain. This road is on the western boundary of the wilderness. 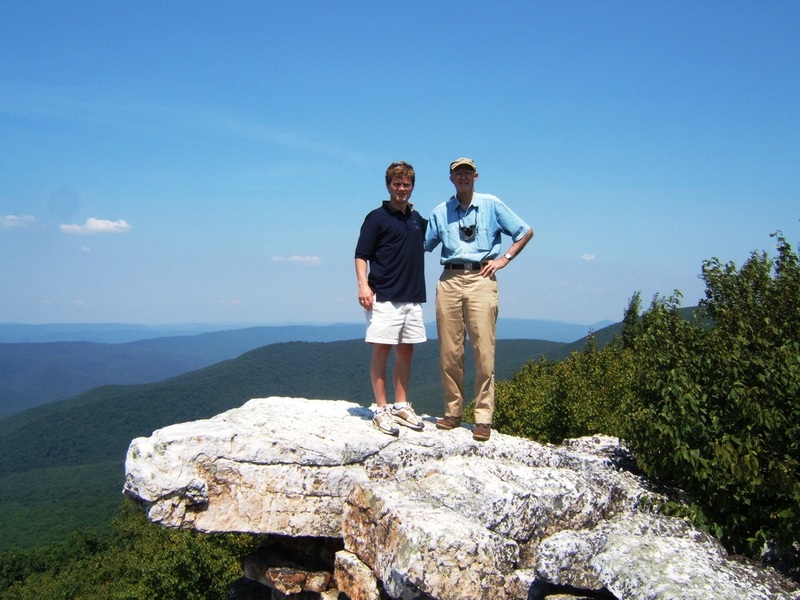 Shawvers Run Wilderness is a true gem in the mountains of western Virginia.